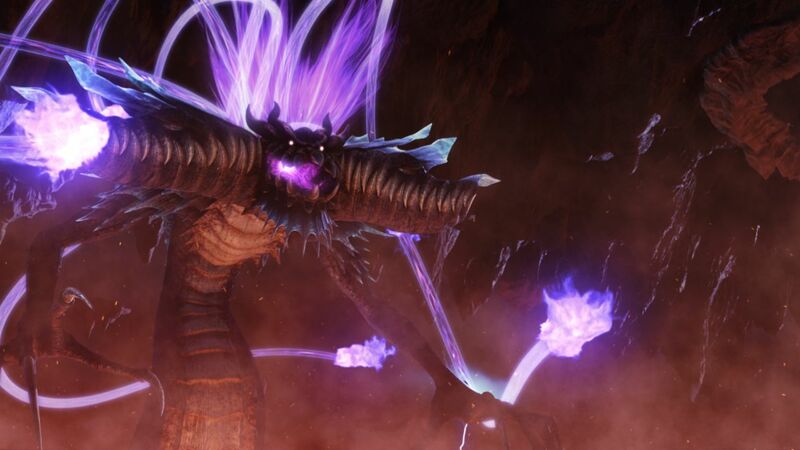 Just as Perfect Chaos was the final boss in Sonic Adventure…this new creature may be the ultimate enemy in Sonic Unleashed, if reports out of Famitsu are true. The breaking up of the continents has awoken a huge, terrible monster; “Dark Gaia” from his slumber and Eggman tries to use him to dominate the planet. Furthering this text is an image that had been floating around the Internet, which we have below. It appears that this creature is Dark Gaia that Famitsu refers to. The blue blur is on the enormous space battleship, as it appears suddenly. Sonic finishes a very important battle, the last stronghold of the Dr. Eggman. There in the midst of the Eggman fight, Sonic transforms. Becoming Super Sonic, he destroys everything in his path, and corners Eggman. But, that was the magnificent trap which Eggman set up. The high energy capture device surrounds Super Sonic suddenly. With the power of Super Sonic, the power of the Chaos Emerald is taken. Eggman has finally obtained seven Chaos Emeralds via Super Sonic. That was Dr. Eggman’s true purpose. Eggman converts the energy of the Chaos Emerald to negative “dark” energy. The enormous dark energy beamed down from the spaceship to the planet. With rumbling, the planet cracks in seven. From the world, the enormous monster “Dark Gaia” awakening from sleep, it appears from the crack of the continent. The Dr. egg man, making this Dark awake Gaia, has been about will attach to the subordinate, to control the planet. Simultaneously, as for sonic it is involved in the place of the energy converter of the chaos emerald, accident occurred in the body. The muscle rose, the nail became pointed, the fang grew, the entire body was covered in the black hair, it became the form like the beast. Sonic changes to the fearful form. We’ll have more Sonic Unleashed news as it comes in.